EXPERIENCE THE CAREER OF YOUR DREAMS! "I love the passion everyone has in providing the best care for the animals. This project exceeded my expectations." We offer opportunities for all levels of interest and incredible hands on experiences working with some of the best trained marine mammals in the world. Come learn about marine mammal care and training from the staff and animals of the world renowned Animal Training and Research International in Moss Landing, California . Directed by Dr. Jenifer Zeligs, who has been recognized as an expert in the fields of animal training and research for over 30 years, ATR Intl has been featured on National Geographic, the Tonight Show with Jay Leno, and was selected to represent the best of the U.S. marine research community at the ocean-themed World's Fair in 1998 in Portugal. We offer internships for all experience levels; from Jr. internships for children 10-16, to general adults, to professionals in the field. 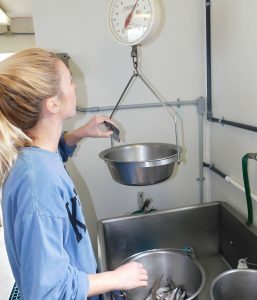 This allows people to experience what it's really like to work with sea lions, not just an interaction program like other facilities offer (although it's still fun and exciting!). Jr. internships require a signed parental consent form. For more information please visit our Jr. Internships page. Internships are also customized for individual interests with special experiences available in training, research or veterinary medicine. 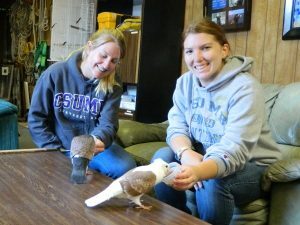 * Optional specialized animal interactions are available for multiple-day interns at a variety of costs. Contact us to ask about these experiences! 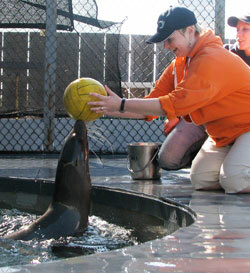 Adult internship: For anyone who wants to learn more about animal training or loves animals. Week long internship includes training explanation talks, feeding sessions, 2 training sessions at the fence and 2 training sessions inside. Professional internship:* For anyone working in the animal field, offers a more in-depth opportunity. Includes normal week-long activities plus; 2 extra animal sessions, 1 hour personal mentor time with Dr. Jenifer Zeligs**, and full time senior staff mentoring and interaction. .
"This was such an awesome experience! The staff here is great and the animals are amazing! I would definitely recommend this opportunity to others." “I also admire how structured the facility is with detailed record keeping, dedicated volunteers, disciplined training techniques; resulting in amazingly well trained animals. This all made for an extremely valuable internship overall." “I have learned most about the animals here, what they like and don’t like, their histories, and their personalities."